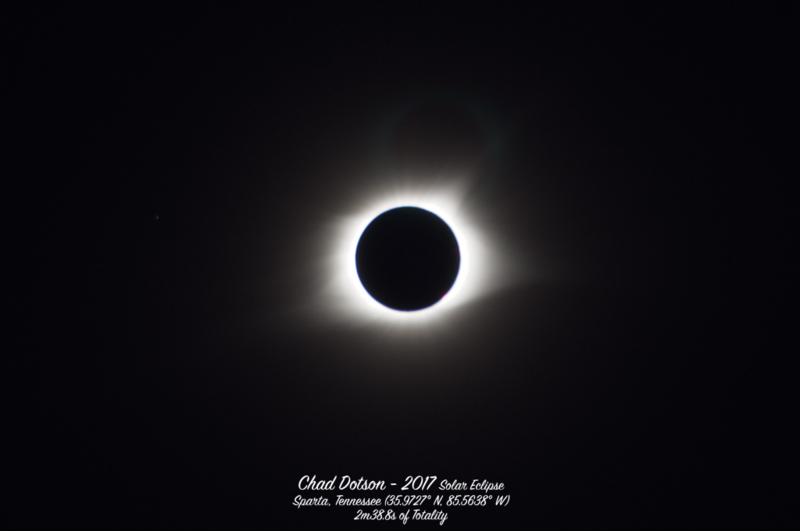 The August 21, 2017 Solar Eclipse as photographed from Sparta, TN (35.9727° N, 85.5638° W). 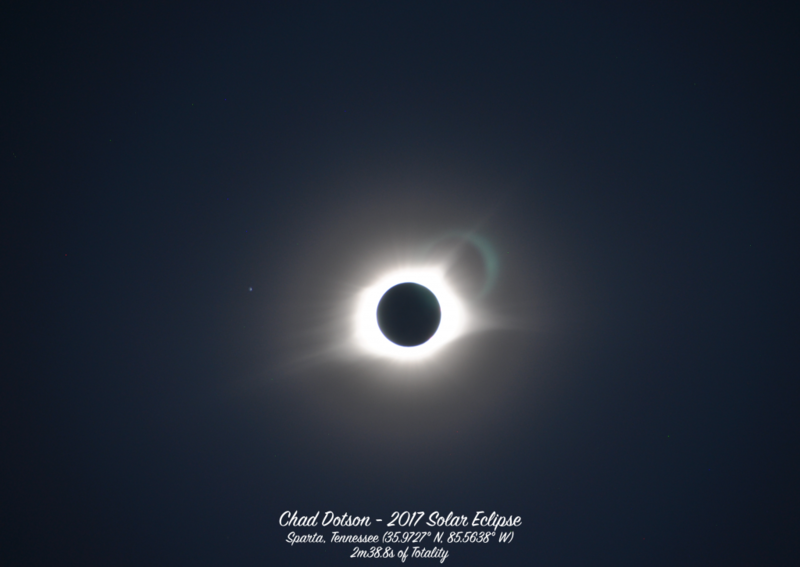 This was about 3.2 miles from the center of Totality! These images do not convey the magnitude of the experience. Knowing what to expect in general does not prepare you. If I tried to find a single word to describe it, I would pick astonishing. Have you ran into trouble with SSLErrors after upgrading to Python 3.6 on macOS Sierra? For me, my first encounter was downloading the bokeh sample data (included here). I finally got a chance to research exactly what was wrong. Given that Python 3.5 was working on my machine and 3.6 was working on several linux machines, I thought that it could have been an issue with Python 3.6, unlikely as it may be. After no bug fix version was released I realized that it must be my configuration. Searching, I found one result related to this in the Python issue tracker: Issue 28150. One answerer points out that Python on macOS no longer relies on Apple’s version of OpenSSL, instead it is shipped with a new one. The gotcha: this new one does not have trust certificates installed. All this is detailed in the Readme. Run the download script provided with the installer – /Applications/Python 3.6/Install Certificates.command. For myself, I ran the bundled script and everything seems to be functioning fine. It seems more than a little odd that this was not done on installation. Installing a package from github is fairly simple. The following are examples of installing packages from github. # Install repo from the specified commit. At some point, you will find yourself wanting to list a dependency in the requirements.txt file that resides on github. This is fairly straight forward If you only plan to use it in requirements.txt (not processed for usage in setup.py). Note that I’ve specified the master branch of repo and given it a version id. Some people will process their requirements.txt files to generate the install_requires parameter for the setup function called in setup.py. This works fine until you have a repository on github. Setup will fail to find your dependencies if your requirements.txt has a line like the one above. To remedy this we must do two things. Parse the line to create a named python dependency for install requires. Given the file above, install_requires would equal ["repo==0.0.1"] . Specify the dependency_links argument to setup. ["https://github.com/chaddotson/repo/tarball/master#egg=repo-0.1.1"] for this example. This is an example of a setup.py that properly processes requirements.txt dependencies that are located on github. It’s probably not complete, but it works for what I need. Feel free to take and adapt. See the repo here (python3). # simple version works for this program.